Our Challenger program is designed to be a feeder program to our Academy group. 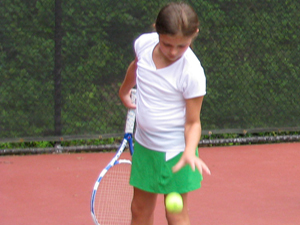 Players in this group are beginning to participate in local tournaments, ALTA/USTA Team tennis, school tennis, and whose tennis skills are developing to the level that they can participate in independent play without much difficulty. To participate, players must graduate from our Kidzone Program or be evaluated by one of our pros to confirm readiness for the Challenger Program. We also offer the option for children in our Challenger Program to participate in Physical Conditioning drills. 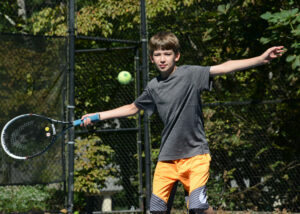 Classes are on: Monday from 5:00 to 7:00 and Wednesday from 5:00 to 7:00 with Match Play on Friday from 5-6:30pm. Physical Conditioning option is offered on Tuesday and Thursday from 6:15 to 7:15 and run concurrent with the drill sessions. Match Play is Included in the pricing. While it is not required to attend every match play date, but it is recommended to attend at least 4 times during the session. The price for he price for Physical Conditioning is $160 for 1 day per week and $240 for 2 days per week.